Pigma Calligrapher Pens 6/Pkg - SAKURA-Pigma: Calligrapher. 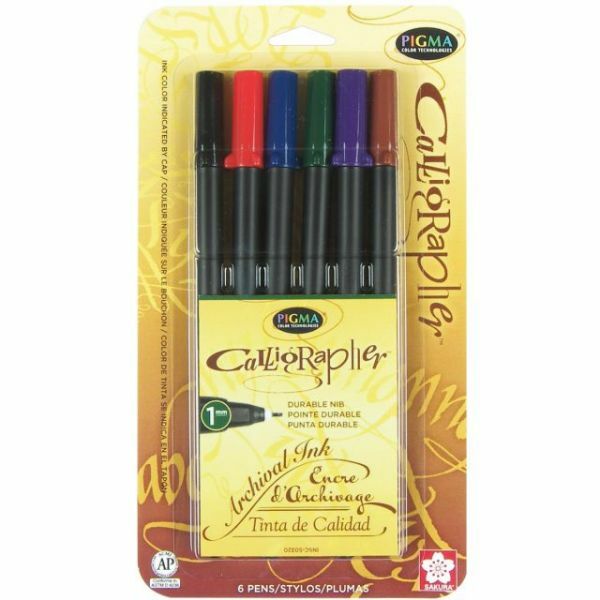 These pens are a unique and reliable lettering art tool which produces crisp edges and sharp hairlines for amateurs and professionals, using a 1mm tip and archival ink. They are unique, with a hard nylon nib that withstands heavy pressure and use. This six pack contains brown, blue, red, green purple and black. Conforms to ASTM D-4236. Imported.